The Pose producer responded to her labeling as one of the "worst-dressed" at the Golden Globes. 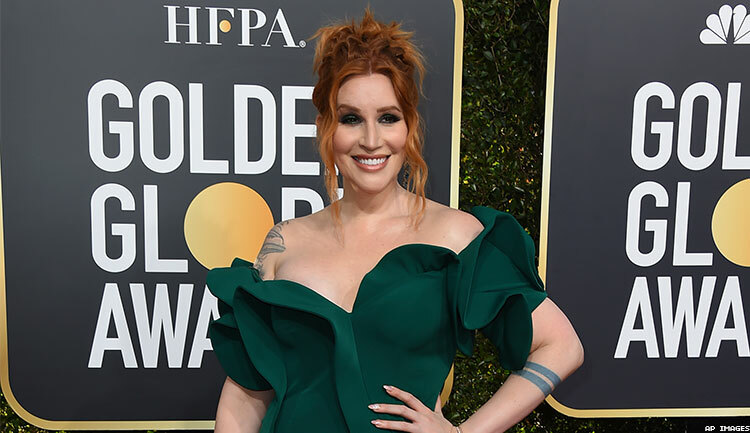 Our Lady J was named one of the "worst-dressed" at the Golden Globes by the Los Angeles Times — and the transgender Pose actress has accused the publication of body-shaming and "tabloid trash." The L.A. Times, in its ranking of the awards ceremony red-carpet looks, declared in its ranking, "Although she’s on trend for the night wearing green, Our Lady J, a fan favorite from Pose and Transparent, is wearing one of our least favorite looks — a busy mermaid gown — at the 76th Golden Globes in Beverly Hills. A simpler green gown would have worked marvelously." In response, J — a writer and producer, and actress on FX's Pose, which was nominated for multiple Golden Globes, including Best Drama — posted a screenshot of the article to Instagram and added a message to the writer, Kevin Smothers, in its caption. The message pointed out how the dress, designed by Fouad Sarkis, "was one of 8 gowns in the entirety of Los Angeles that fit my body," and explained how the criticism is cruel when the fashion industry offers comparatively few options for transgender people and women of size. "Thank you @officialksmo for body-shaming me in the @latimes on a night celebrating the talents of my MIND," J declared. "It’s not my first time on a worst dressed list, so I’m not at home crying. But I am angry that you don’t understand the fact that top designers don’t make clothes for my body." "I am a 6’2” trans woman who weighs a healthy 225 lbs," J continued. "This was one of 8 gowns in the entirety of Los Angeles that fit my body, and I chose it because it fit my body. I think it’s beautiful, but yes, I would love to have the option to wear the dresses that are on your 'best' list." Additionally, J pointed out how the practice of compiling lists like "Best and worst looks from the Golden Globes," is inherently misogynistic. "When you judge women for what they’re wearing, you’re not only judging the fabric on their bodies — you are judging their actual bodies, the medical history of their bodies, and the emotional struggle they have with their bodies because of misogynistic articles like this," J stated. "This is tabloid trash and has no place in a reputable publication like the @latimes." In the post's comments, Rene' Tyler, a plus-size boutique, offered to style J for future events; the actress offered her thanks in response. Thank you @officialksmo for body-shaming me in the @latimes on a night celebrating the talents of my MIND. It’s not my first time on a worst dressed list, so I’m not at home crying. But I am angry that you don’t understand the fact that top designers don’t make clothes for my body. I am a 6’2” trans woman who weighs a healthy 225 lbs. This was one of 8 gowns in the entirety of Los Angeles that fit my body, and I chose it because it fit my body. I think it’s beautiful, but yes, I would love to have the option to wear the dresses that are on your “best” list. When you judge women for what they’re wearing, you’re not only judging the fabric on their bodies — you are judging their actual bodies, the medical history of their bodies, and the emotional struggle they have with their bodies because of misogynistic articles like this. This is tabloid trash and has no place in a reputable publication like the @latimes.